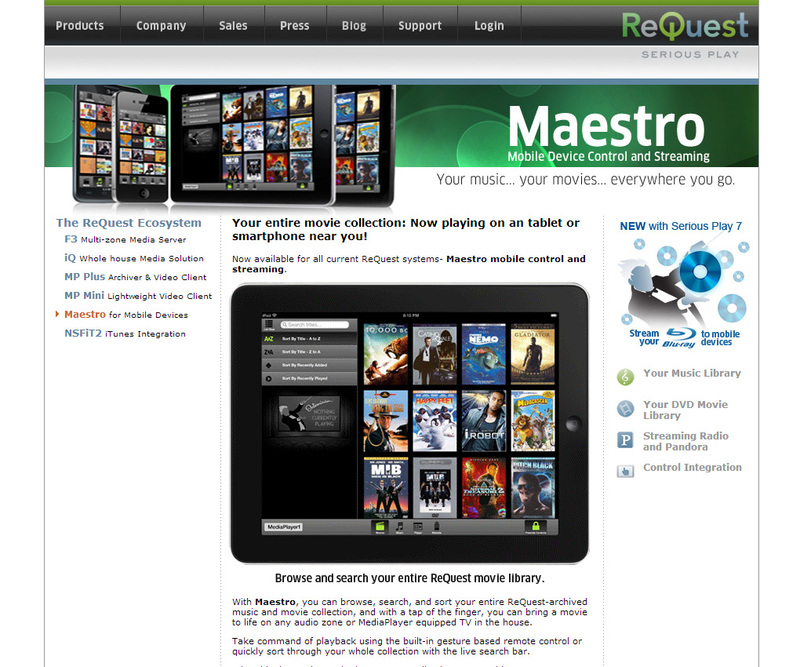 With the recent launch of Maestro and a finally stablized product line (we were truly done tinkering with the chassis for a little while) we decided to freshen up the website a little. 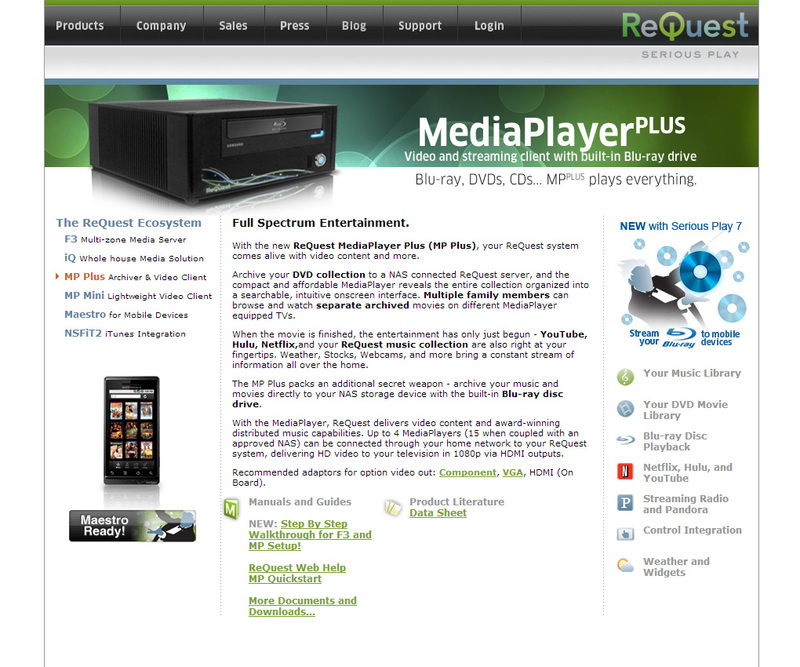 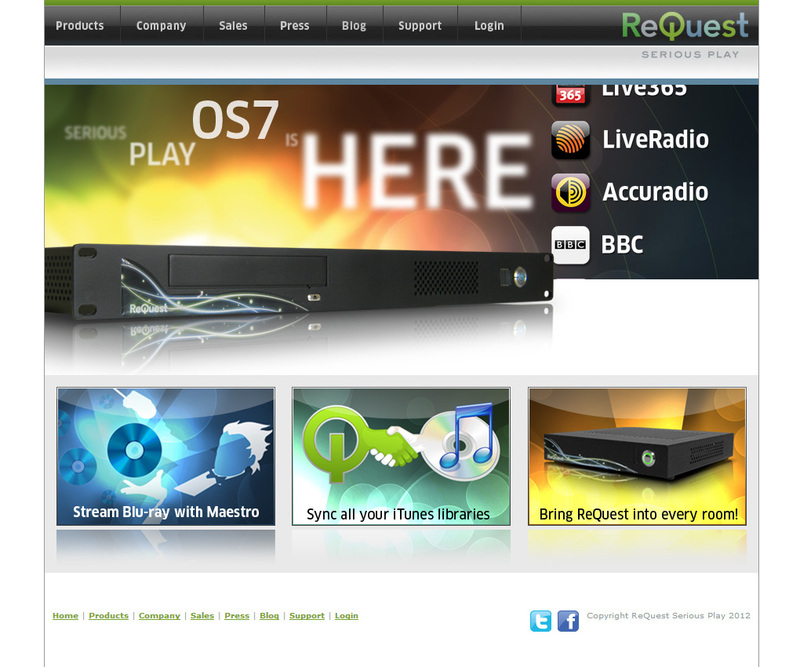 Our version 7 software also came with a bunch of streaming services and other benefits. 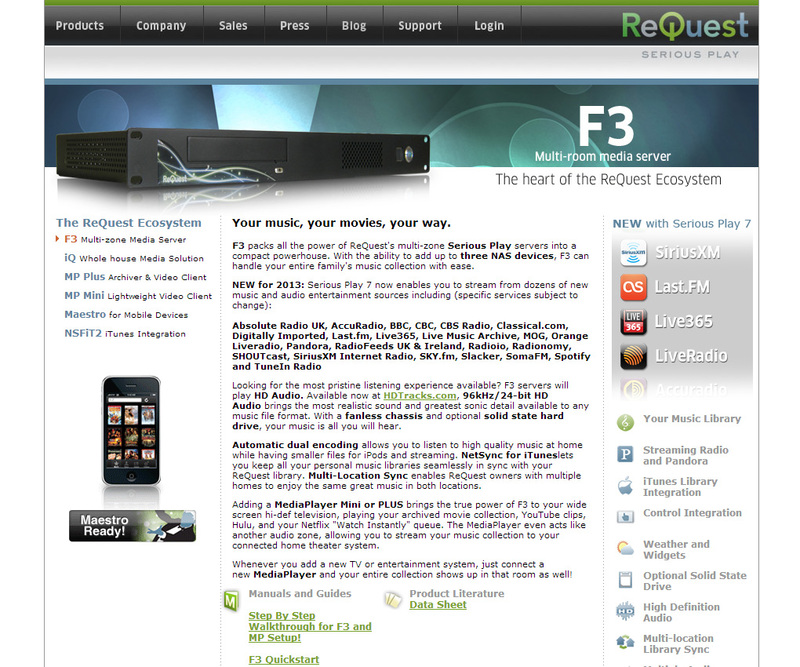 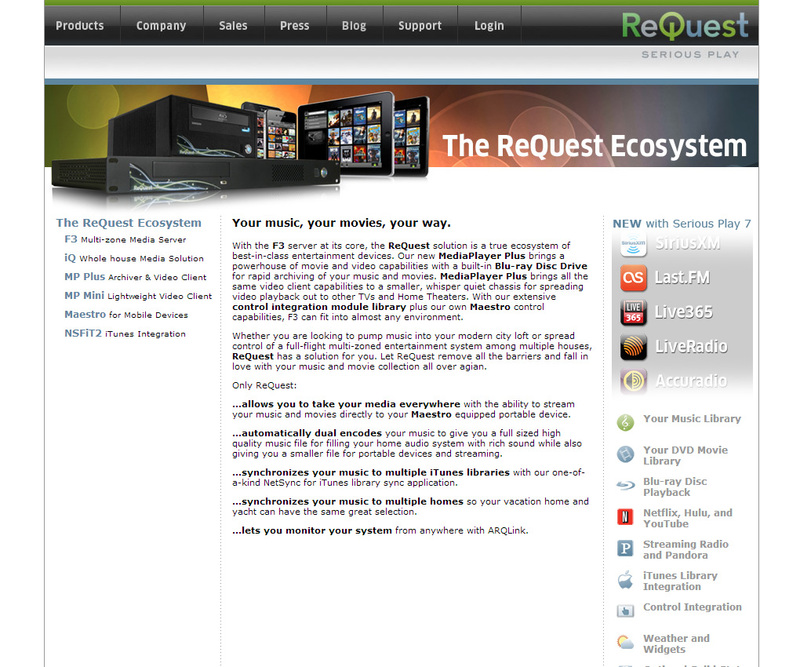 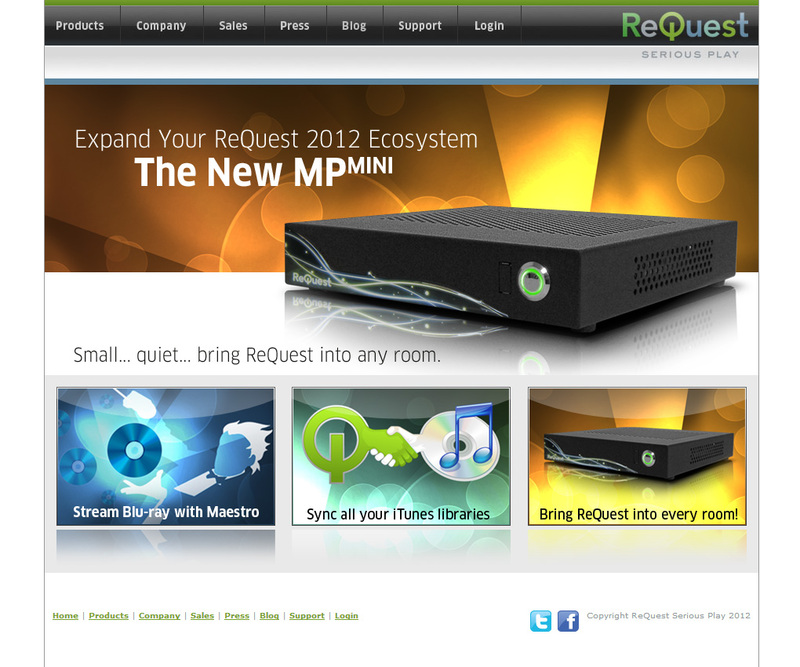 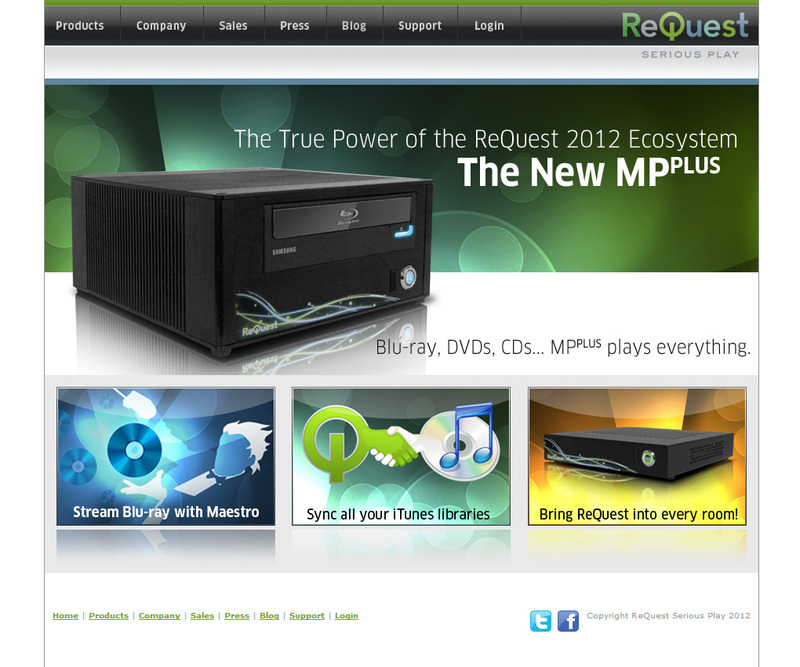 That along with Maestro allowed us to ramp up the “ReQuest Ecosystem” concept, which was the main pitch of the new site. 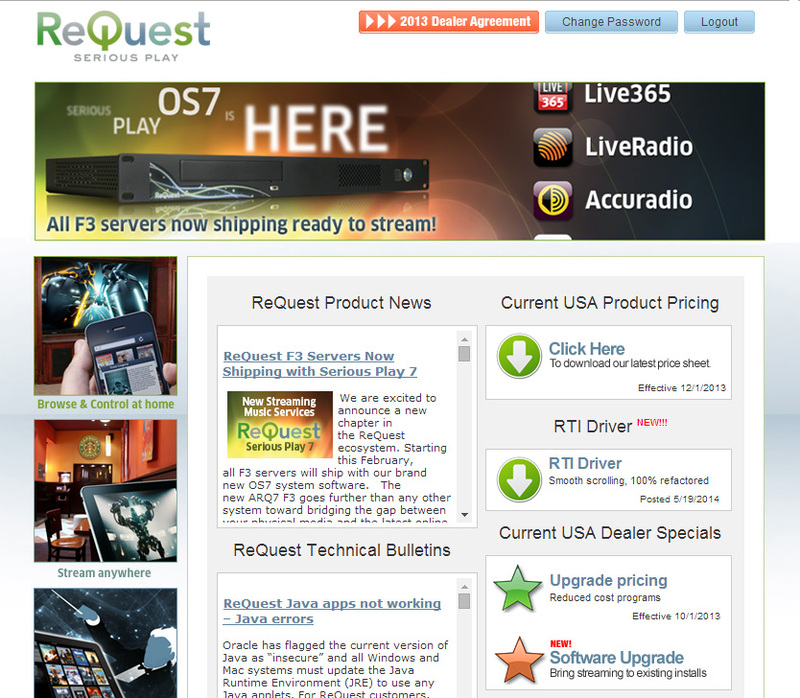 At the same time, we also got rid of our heavy duty business management software system, NetSuite, which meant I had to scramble to build a little “dealer zone” where our dealers could log in for price sheets and other non-public information.